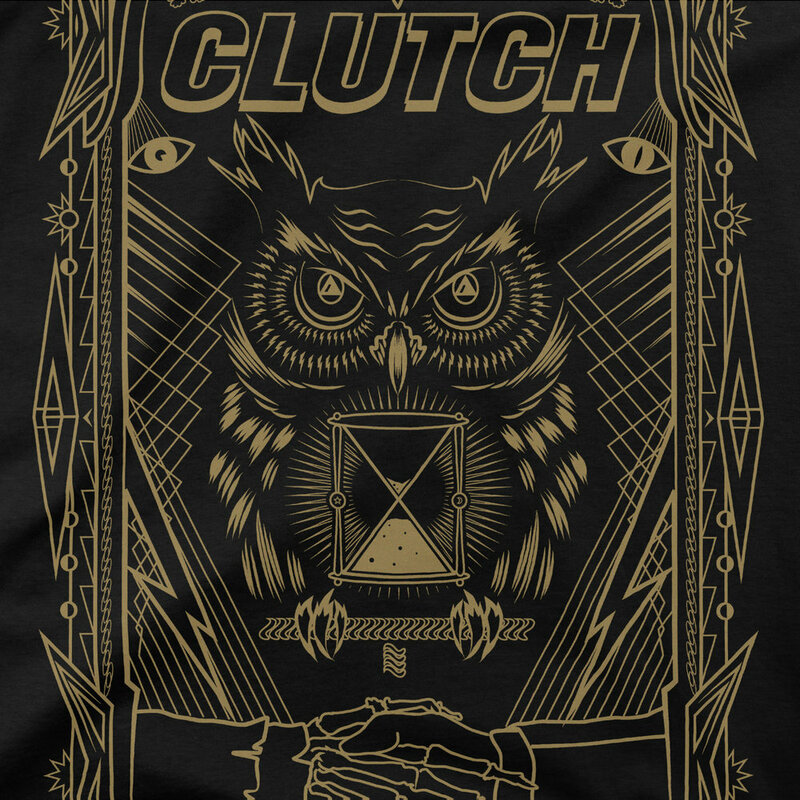 After my first design for Clutch became a best seller for the band they hired me to create yet another design which I named The All Seeing Owl. 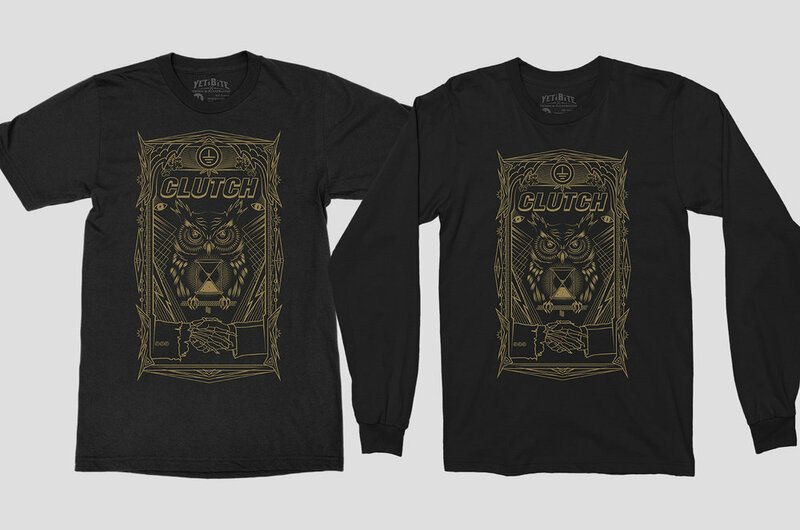 A single color, simple line work style design printed in metallic gold Pantone 871. This design also went on to become a best seller for them. I loved working for these guys since I’m a fan and I’m proud of this design in particular because it was created in a very tight deadline.